Promotional art for “I’m Hungry”, a local restaurant delivery service. 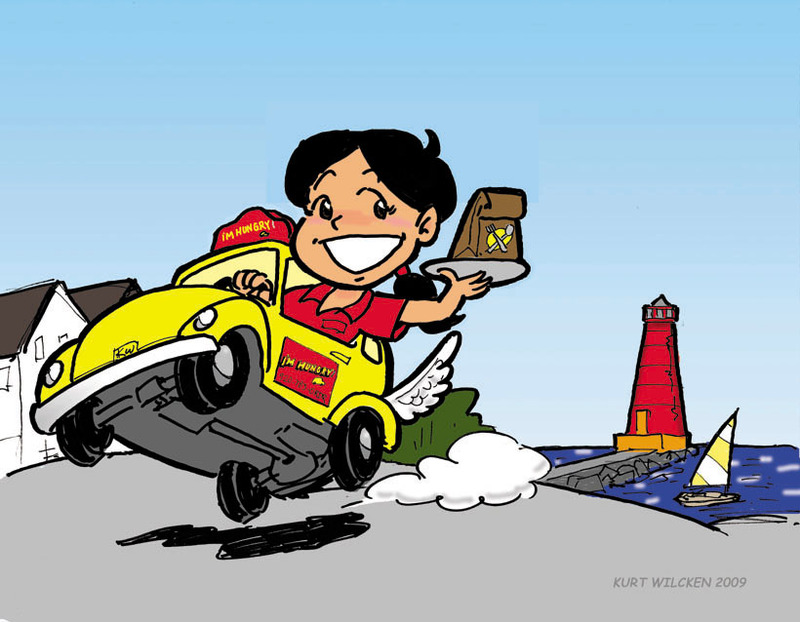 This was one of a series of cartoons showing the “I’m Hungry” delivery girl and her winged car in front of one of the company’s client restaurants. The lighthouse in the background is a Sheboygan landmark.